Well, hell froze over in wrestling. Again. Last week’s Monday Night RAW opened with what else? A promo. But not just any promo. Monday, WWE presented the first ever Vincent J. McMahon Legacy of Excellence Award. Vince McMahon came out to present and said “the award is very special”. Why? (Visions of Jim Ross having to sincerely tell us that the Western State Heritage Title was “very prestigious” came to mind…but I digress). “Here Comes The Money” plays, and the live crowd…not to mention those watching, and social media go stark raving batshit. Out comes Shane McMahon for the first time in six years on WWE TV. 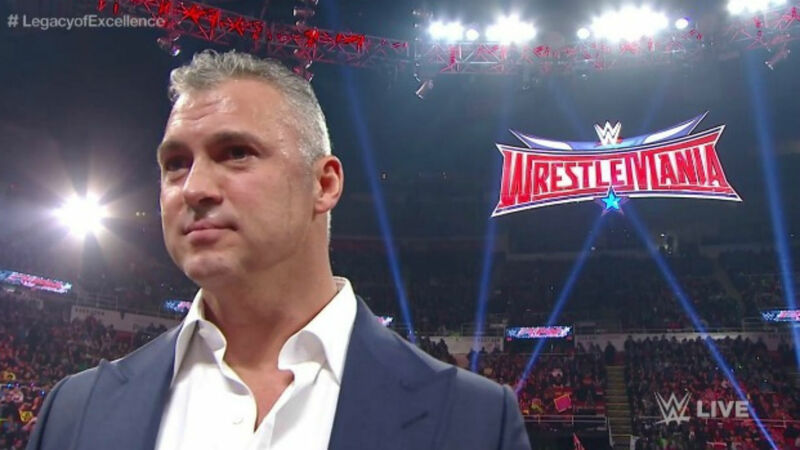 Shane proceeded to go on about how he felt he’d “never lost his place in line”; suggested that Stephanie and “her husband HHH” had done things to negatively affect WWE with stock values, TV ratings, and the “plethora of talent injuries” that weren’t “best for business”; claimed he’d had to make some sort of “deal” with Vince when he had “screwed things up really bad”. Stephanie kept asking Vince if this was true…Vince again hemmed and hawed and didn’t really answer. Shane then demanded control of Monday Night RAW. Vince hemmed and hawed and finally agreed…provided Shane could win a match…at Wrestlemania…in Hell in a Cell…. against The Undertaker. * McMahon had kayfabed his own kids about his return, but his wife had the kids watching on TV, who went nuts. He said one of his motivations for this run was that his sons weren’t really old enough to see him in his prior run in WWE. * Kay asked him about his outrageous bumps. McMahon said he always felt he had to prove he wasn’t just the boss’s kid, and that “if you’re in a WWE ring and not going 100% then it’s a disservice to the fans”. When asked if he’d do something from the scoreboard at AT&T Stadium, McMahon laughed and said the human body DOES have limits. * McMahon has been doing 3-a-days and working with Muy Thai trainer to train for WrestleMania. Needless to say all this came out of nowhere. There had been stories of Undertaker’s opponent “not currently being on the WWE roster”, which led to speculation of Finn Balor or someone from the NXT roster, a new signee that had been kept quiet…etc. 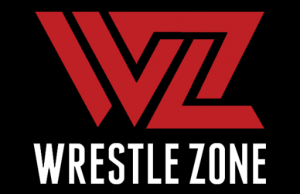 Is McMahon planning a greater involvement in WWE? In a New York Post interview last week, McMahon said that his only concentration for now is WrestleMania and his Hell in a Cell match against Undertaker. A A WWE spokesman told the New York Post that Shane is currently strictly an on-screen character only and fans should not read more into it. Note the word “currently”. When McMahon was asked by the Post about a corporate return, he didn’t shoot it down… but he didn’t say yes either… so his role in the company will probably be more clear after WrestleMania 32 is over. Prior to his departure from WWE in January 2010, he served as the company’s Executive Vice President of Global Media. After leaving, he went on to become the CEO of You On Demand, China’s first video-on-demand and pay-per-view company. McMahon stepped down from that role in 2013 but remained as Vice Chairman of the You On Demand board. He has a net worth of $36 million. Obviously to give away anything would ruin the storyline. But with WWE being a public company, that complicates things a bit. Fortunately, the next quarterly report doesn’t come until the day after Wrestlemania. So we’ll see how all this develops. The Undertaker returns to RAW tonight…so things will move forward. How? I have no idea. That’s a good thing. We all like “WTF moments”. We LIKE being surprised. Despite all our smart markishness, we like being surprised. One of the biggest complaints about WWE booking is that we can predict it. So when someone surprising happens…we love it, whether or not we admit it; because it takes us back to those days when there was no Wrestling Observer, no social media, no Internet…and we had to take the soap opera in front of us at face value. While we knew it was a work, to borrow a line from Shane McMahon’s promo last Monday “we didn’t know what we didn’t know”. While the genie can’t be put back in the bottle, at least once in a while, we can go back and enjoy that feeling and have a WTF moment.